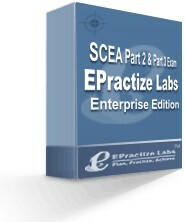 We have tested EPractize Labs SCEA Part 2 & Part 3 Exam Preparati 1.0 for spyware and adware modules. The software is absolutely safe to install. Xam, part of XamSuite, will present a set of questions to the user, get the answers and score the exam at the end.